With the installation of the IB Diploma program at my school, SIS, exciting, new, and rigorous courses face the high school students. One of the two Group 3 (Individuals and Society) courses being offered is IB Psychology. Psychology is not new to SIS, however. AP Psychology has been a popular course at SIS, but after this year, it will no longer be available. In its place IB Psychology will hopefully be as popular. 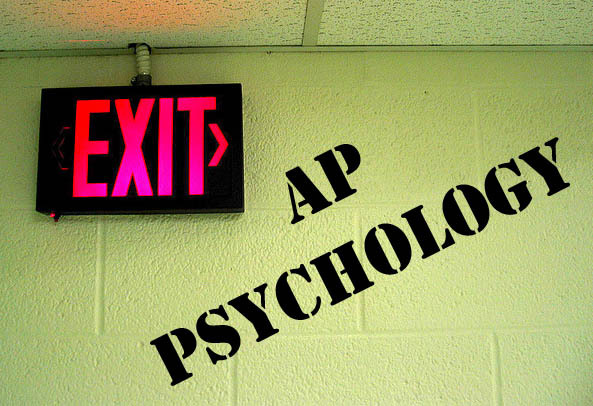 Even though both IB and AP Psychology prepare students for the rigors of university, they are two very different courses. One big difference is the amount of time allotted to cover the course content. The IB course needs two years while the AP course needs one year. In this situation, the IB course allows students to develop their understanding of content more deeply. It isn’t always a rush across a vast amount of content. Along these same lines, the IB course tends to be more open-ended, allowing the teacher and students to choose the content and research studies to respond to the learning outcomes. It doesn’t always prescribe certain case studies, texts, or perspectives. This better allows for differentiation and for students to choose what interests them in context of the learning outcomes. Of course, teacher guidance is critical to ensure students have the relevant details and are critically explaining, analyzing, evaluating, and discussing the content appropriately. Another big difference between the IB and AP courses revolves around assessment. The IB course is much more transparent. The learning outcomes will be the exam questions; thus, the students know what their possible exam questions will be. The challenge is to understand and be able to respond thoroughly to each learning outcome with accurate detail and relevant research studies. HL students will need to be able to respond to 65+ learning outcomes while SL students will need to know 52 learning outcomes. All of the learning outcomes require extended written responses. The AP exam, on the other hand, comprises 100 multiple-choice questions and two free response essays. This course and subsequent exam isn’t as transparent as the IB course, though. The course syllabus defines specific topics and concepts that need to be known, but exam questions can ask very narrowed or obscure questions that aren’t clearly defined within the syllabus. This is the challenge of this course. Students must do a lot of extra reading and hope they covered a topic that appears as a question. The IB course also requires the students to complete an Internal Assessment (IA) where they have to replicate a simple psychological experiment. This component is something the AP course lacks. The IA is an authentic, real-world assessment in that students do what actual experimental psychologists do in their work. 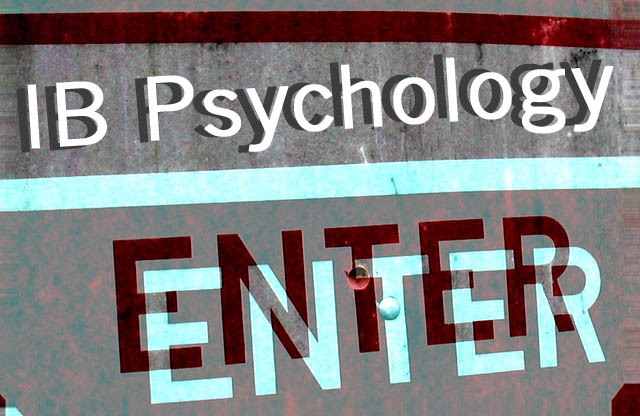 Overall, Psychology is a valuable course for all students to take. Understanding psychological principles, concepts, theories, and current psychological research can be applied to and help achieve success in all areas of life. Posted on April 8, 2011, in Education, IB, Psychology, Social Studies and tagged psychology. Bookmark the permalink. 4 Comments. I presently teach AP Psychology. Next school year I will also teach IB Psyc. Is it possible to teach both in the same class? Hi Jacky, if your daughter is a strong independent learner and can work effectively with technology, I think she will be fine with the course online. The psychology Course Guide is transparent enough that once she learns the “tricks” and processes, and, of course, the content, success can be easily found. There are plenty of books and internet-based resources out there that help with these. The challenge is to remember all of the relevant content and research studies for the dozens of learning outcomes that could appear on the exam.